Cosy one-bedroom apartment with private Wi-Fi and parking. Ideal for a couple or young family who are looking for a comfortable apartment in a central location. The kitchen is compact but well equipped. The accommodation includes a double bedroom and double sofa bed in the living room. Conveniently located close to the Aiguille du Midi cable car, opposite the main bus stop and two minutes from all amenities including restaurants, bars and shops. Please note this is non-smoking apartment and a pet free apartment. Please also note that due to its central location, this apartment may be subject to outside noise. 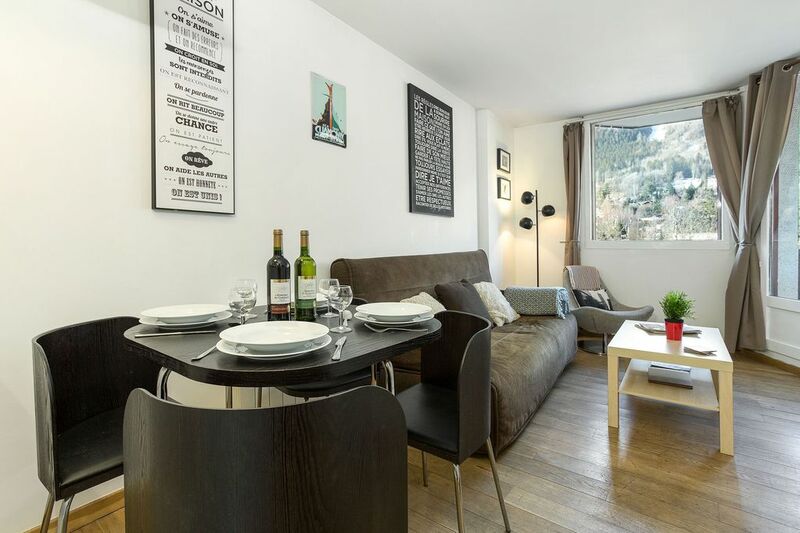 Cosy one bedroom apartment ideally located close to the Chamonix Sud bus stop and Aiguille du Midi.